Posted February 2, 2016 by Charles Morris & filed under Newswire, The Infrastructure. Today’s power grid can easily handle the number of EVs on the road, but in the not-too-distant future, when a substantial number of cars on the road are electric and larger battery packs necessitate higher charging power, it may be impractical for the grid to provide enough power without some form of stationary storage. Now a team of researchers at the Swiss Federal Institute of Technology (EPFL) in Lausanne have developed an intermediary power storage device that can quickly charge a car without putting a strain on the power grid. Their goal is to make charging an EV as quick and easy as filling a legacy vehicle with gas. “With this buffer storage, charging stations can be disconnected from the grid while still providing a high charge level for cars,” said researcher Alfred Rufer. The storage device is a lithium-ion pack the size of a shipping container that constantly pulls power slowly from the grid. The device can currently charge a typical EV battery in 15 minutes. Researchers built models to predict the ways gas stations will need to adapt as dinosaur burners cars are phased out and replaced by large numbers of EVs. Their numbers suggest that a station charging 200 cars per day would require a buffer storage capacity of 2.2 megawatt hours, which corresponds to a storage device about the size of four containers. “Electric cars will change our habits. It’s clear that, in the future, several types of charging systems, such as slow charging at home and ultra-fast charging for long-distance travel, will co-exist,” said Capezzali. The intermittent storing of electric energy to allow faster charging of small EVs are rather obvious. The Tesla SuperCharger network is doing just that. 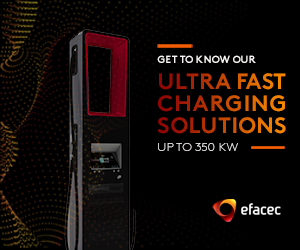 Charge your car slowly over night, every night and use the fast chargers for longer travels. Pricing for fast charging need to come down from $1 or €1 per kWh, to less than 40 cents, to allow EV drivers to motivate the use of fast chargers. I understand there is a steep investment for the chargers, but unused charging stations, due to over pricing is not good for the electrification of every day driving. – Why not partner with Tesla, their network is already under way and allow for up to 135 kW of charging? storage system. The load curve for the Ultra-Fast Charging Station (UFCS) must be studied. This is possible by investigating the distribution of the daily traffic in a given charging point. since a fast charging station is not always operational with full power, the energy storage unit benefits from drawing from grid. Over the last decade, the most wide spreading charging station is based on the CHAdeMO standard, where the maximal charging current is limited mainly by the connector’s maximum current of 120 A, could be as much as 50 kW. IEC 61851-23 has however drafted a 400 A/330 V DC-charging mode which could bring that power up to 132 kW in the future. It requires data communication in order to exchange control parameters between the on-board battery and the off-board fast-charger. This is a real issue because it leads to the incompatibility of some on-board EV batteries. I’m not sure what the import of this article actually is. Only one mile in 20 is publicly charged with EVs, so a supercharger capable of filling 200 EVs per day is equivalent to a gas station supplying 4,000 ICE cars. And, it would be better for the grid to have a large number of single or twin superchargers instead of large sites able to charge many cars at the same time in the same place. Back-up batteries are back-up batteries, wherever they are, so what difference does it make? This is a solution looking for a problem; the electric utilities are not fearing the growth of EVs. Most charging is done overnight, which will increase utilisation of the grid – and the power plants. It’s a non issue. Hi PWJ. Where do you get your figure of one mile in 20 is publicly charged with EVs? I don’t disagree that public charging is a small number, but just interested in the 5%. Anything objective and reference-able behind that? Most charging of EVs is done at home overnight, plus a little is done at work too. Most days, this more than suffices for an EV. After about five years of the modern EV era, it has been widely established that public charging is only required occasionally, and this amounts to 5% of miles travelled by the average EV. So far as I know, this 5% applies both to Tesla or shorter range EVs. Bith Tesla and Nissan – and the ChevyVolt – contain telematics that report the data back to the manufacturers, so I imagine the source must be from them.